Occasions Catalogue & Sale-A-Bration Start Today!!! 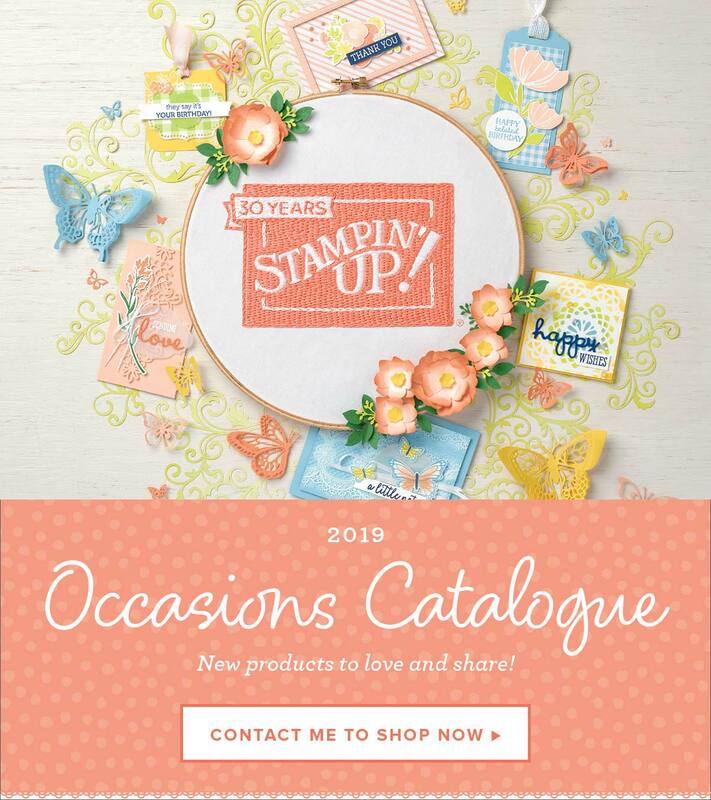 Stampin’ Up!® Demonstrator Karen Robinson |Occasions Catalogue & Sale-A-Bration Start Today!!! It’s always an exciting day when a catalogue goes live and this one is that little bit more special as it’s also the start of Stampin’ Up!’s annual Sale-A-Bration. If you love FREE stuff, extra rewards or have ever considered joining Stampin’ Up!, the next 3 months are the time to take full advantage of the great deals that Stampin’ Up! is offering. The Occasions Catalogue is full of fresh ideas for birthdays, Valentine’s Day, Easter, Mother’s Day and more. I’m loving the bright colours in this years catalogue, they’re perfect for Summer crafting in Australia. I’ll be sharing projects made with these products very soon and I hope you’ll love them as much as I do. In the mean time, take a look at this quick video that showcases just a few of the amazing products in this new catalogue. For anyone who has enjoyed Sale-A-Bration in the past, we have an exciting new announcement for this year: We now have a new reward level, giving you even more flexibility and options to earn FREE items. Check out this video to see some of the samples made with these FREE products, there’s loads of inspiration to get you creating with these new products. If you don’t have a demonstrator and would like copies of any of our current catalogues just click here and I’ll post some out to you (available to Australian residents only) or you can download PDF copies from my sidebar. I’ll see you soon with some new projects to share! Next Post Time for a Coffee Break?